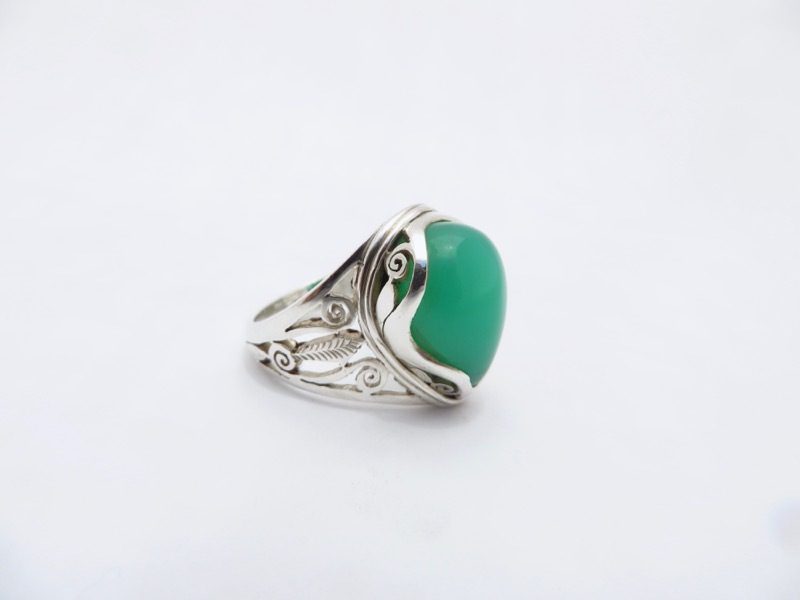 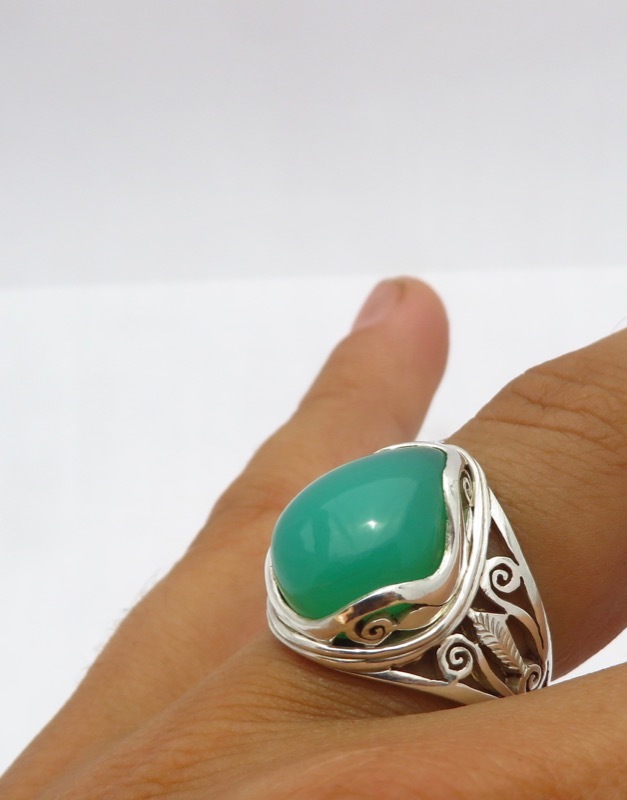 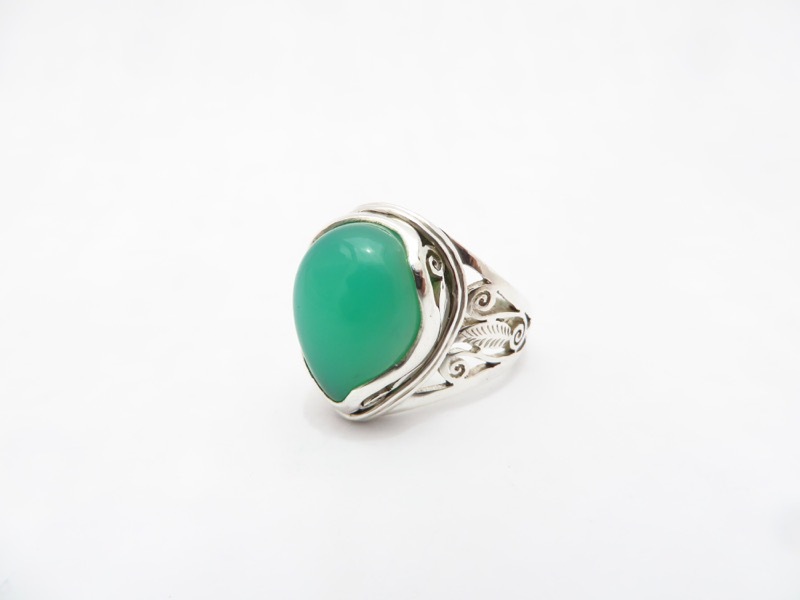 Amazing quality A-grade chrysoprase – bright apple green and translucent, it glows! 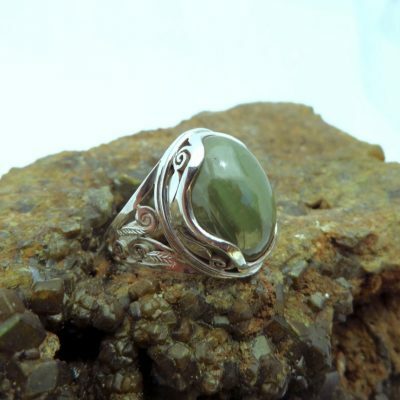 This is a one-off piece individually hand-made to fit the stone. 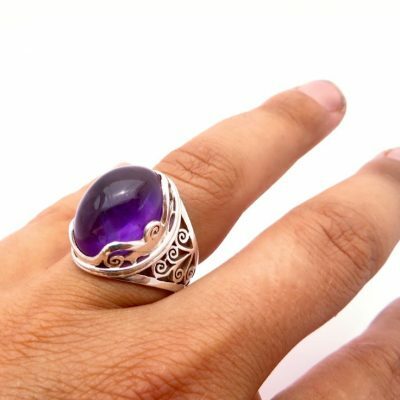 The band is hand-carved silver, designed for comfortable wearing – the saddle-shape of the band holds onto your finger so that it sits firmly in place and doesn’t feel heavy. 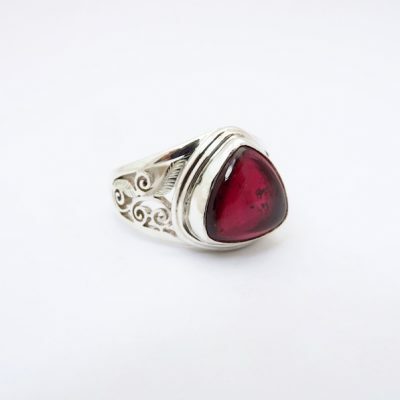 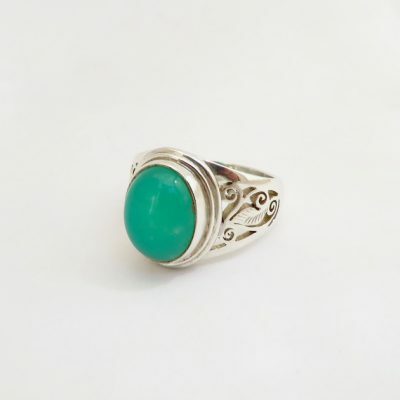 We have used a good strong and thick silver so that the ring is guaranteed to last a long time and can be worn in any circumstance.